Candice Marie Miller Kwiatkowski was born in Waseca, Minnesota on March 9, 1982 and died in Jackson Hole, Wyoming July 23, 2018. Candice was the youngest of eight children and enjoyed a childhood filled with sports, music, skiing, church and life on the farm. Candice followed her passion of music to live in the states of Tennessee, Wyoming, Idaho, Nevada and Alaska while performing in most of the states in between. What started as a plan to be a musician in Nashville with her sisters was then superseded by her love of the mountains. Candice settled in Teton Valley and was a professional singer and musician. She married Chad Kwiatkowski of Loveland, Colorado on March 1, 2008 in Driggs, Idaho outside of Jackson Hole. Their daughter MaryJane Lucille was born January 22, 2009. Their son Calvin Arthur was born on February 26, 2013. Candice was known and loved by so many. She was a free spirit and was blessed with awe-inspiring talent and God given gifts in relating with others and in music. She could light up a room with the vivaciousness of her smile and laughter. Candice was caring, compassionate, loving and was an inviting friend to all. She put others before herself and was not afraid of honesty. She always made sure to include everyone. Her light was positively infectious. She took time to listen to people. Candice was her own authentic person which made her illuminate in everything she participated in. She had a deep love for friends, family and for her home state of Minnesota. She took great joy in gardening, skiing, taking care of animals, music, hiking, cooking, traveling and being part of the church. Candice is survived by her daughter MaryJane Lucille Kwiatkowski, her husband Chad Kwiatkowski, her parents Alvin and Donna Miller, her siblings Jennifer (Edward) Irastorza, Rebecca (Sam) Jewison, Reginald Miller, Lucas (Lisa) Miller, Lance (Julie) Miller, Muriah Miller Keith and Karee (Jason) Jaeger and their children Hayden Jewison, Erin Jewison, Adelaide Miller, Paiton Miller, Cheston Miller, Clare Miller, Carmen Miller, Emma Keith, Layla Keith, Lukiah Jaeger, Cashius Jaeger and Enza Jaeger. In addition to Candice’s immediate family, she is survived by a very large extended family of uncles, aunts and cousins who she so loved. Candice was preceded in death by her son Calvin Arthur Kwiatkowski in May of 2013, her grandmothers Lucille Miller and Betty Bang, her grandfathers Alvin Miller Sr. and Steve McShane, her uncle Dale McShane, aunt Darla McShane, aunt RoseAnn Miller and aunt Virginia Miller. 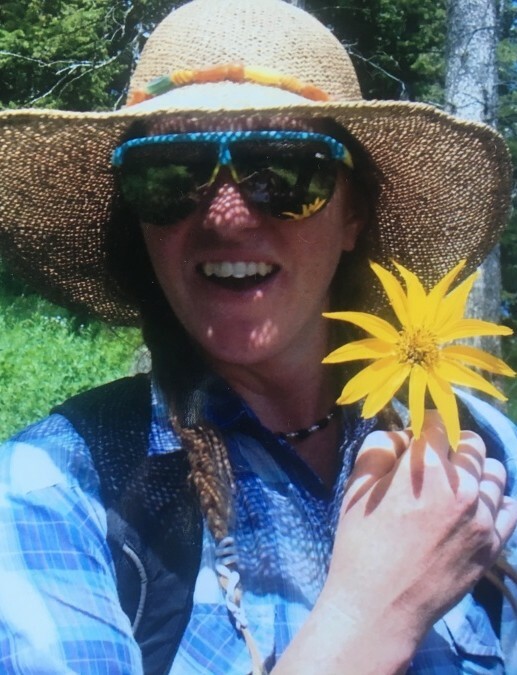 In lieu of flowers, donations are requested to the Candice Miller Kwiatkowski Memorial fund at US Bank in Victor, Idaho to support the college education of MaryJane Lucille Kwiatkowski. Funeral service will be Friday, July 27 at 10 a.m. at Good Shepherd Church in Driggs, Idaho, with 9 a.m. visitation prior, and luncheon following burial at the Knotty Pine in Victor, Idaho. There will be a wake at Valley Mortuary in Driggs, Idaho on Thursday, July 26 from 6:30-8 p.m.